Like Michael enjoys saying when I cook, “you are the captain of your own ship”, well mostly true, but when you make dinner for two it is nice to consider both people and one of those peeps doesn’t eat clams and with a few dozen to deal with I found the happy place for both. Of course, things got out of control while attempting to fulfill the weekly assignment at cooking club Pot Luck, time but you know stuff happens and both of us were happy and stuffed with pasta, clams and 1 person was happy with pasta and sausage. 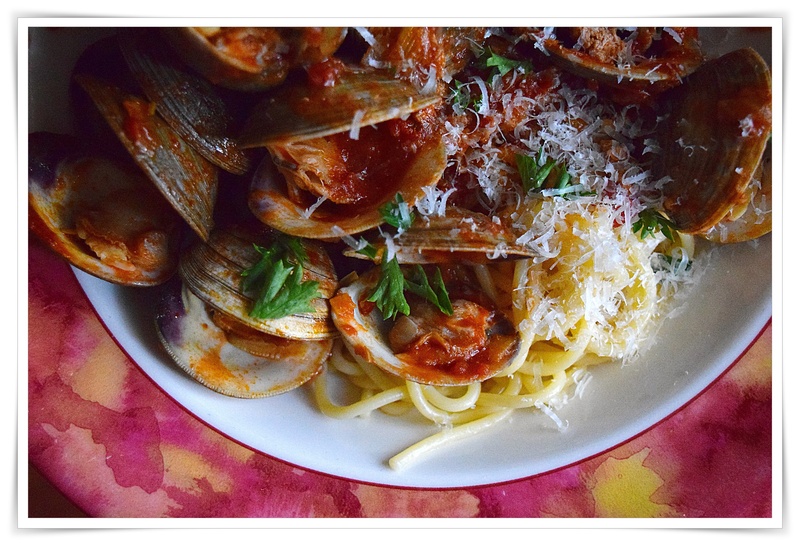 I thoroughly enjoyed my clams with little chunks of sausage and splashes of sauce while Mike devoured the sausage sauce over his spaghetti…yes we like grated cheese sprinkled over everything. Soak the clams in a flat container of water with salt, soak for at least 30 minutes to one hour. Melt the butter in a heavy saute pan add the onion, leek, thyme and fennel seeds, and saute gently until the vegetables begin to soften (approx 10 mins). Add the sausage pieces and cook, stirring frequently, until browned. Stir in the oregano, chopped tomatoes, additional sauce if using and wine. Turn up the heat and bring to a simmer. Add the clams, cover the pan tightly and cook until they just open (approx 4 mins). Discard any that remain closed. Sprinkle the parsley over the pan, and serve immediately. 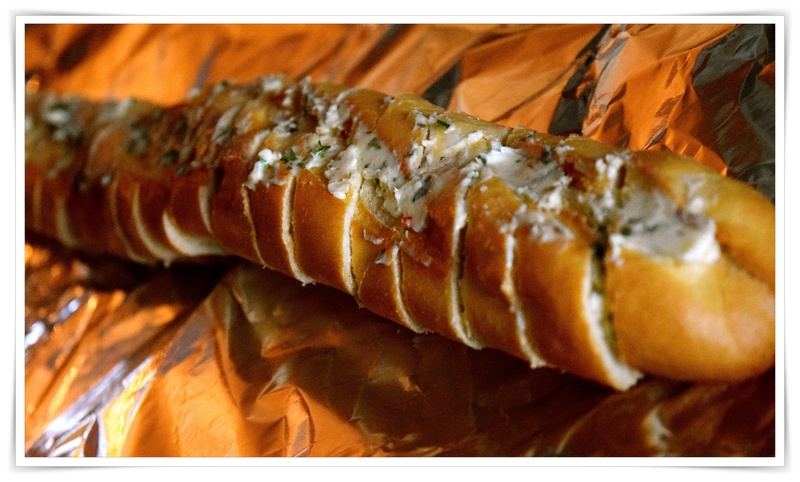 Served with a warm toasty loaf of garlic bread…My foil basket garlic butter loaf, slice baguette into thick slices, but not cutting through to the bottom of the loaf, make garlic butter with one stick soft butter, 4 cloves of minced garlic, freshly ground pepper, 1 tablespoon EVOO, a little dried oregano, parsley, and basil. *Optional crushed red pepper flakes, chopped into tiny bits. Thoroughly blend and spread between slices, but save some for the top. Fold foil around the loaf, but do not cover, warm in a 350º for 5-7 minutes then broil for a few minutes to brown just a little.